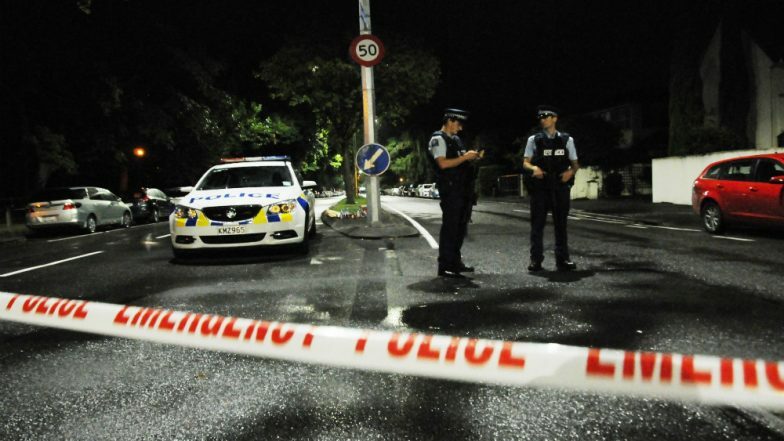 Christchurch, March 22: New Zealand police revealed Friday that they met with the accused Christchurch mosque shooter at his home in October 2017 before granting him the licence that let him purchase the weapons used in the rampage. Australian Brenton Tarrant, a self-avowed white supremacist, applied for the gun licence in September 2017 and a police "firearms vetting team" visited his home in the southern city of Dunedin the following month, a police spokesman said. "One of the steps to gaining a firearms licence is a home visit to meet the applicant in person and inspect the security of their property," he said in a statement. The police team carried out the visit in October, interviewing Tarrant and carrying out a "security inspection" of his home, he said. "Following this, all the available information was reviewed and the licence was approved in November 2017." Facebook Removes 1.5 Million Videos of Christchurch Mosque Attack. Tarrant also provided the names of two New Zealand residents as references, who were also interviewed by police and "met the requirements of the process," he said, without identifying the two persons. Authorities say Tarrant legally purchased a number of weapons in December 2017, including the two semi-automatic rifles, two shotguns and a lever-action firearm he used in the March 15 attacks on two Christchurch mosques that left 50 people dead and 50 injured. Tarrant was arrested as he tried to pursue the attacks and has been charged with murder. Six days after the attack, Prime Minister Jacinda Ardern announced an immediate ban on military-style semi-automatics and assault rifles, as well as other materials which can be used to modify firearms to make them deadlier.